First birthday parties are always special to everyone in the family, because it celebrates the anniversary of the new member. 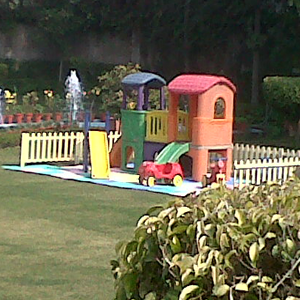 Many parents and grandparents want this party to be the best party they have hosted in honour of the little one. In Indian culture, babies are considered God’s gift, be it baby girl or baby boy, and that is why first birthdays are so popular here. Not only is the baby blessed with a wonderful life, but the family too is blessed with the auspicious presence of a new born baby.Our first birthday packages include planners and organisers, décor with balloons, themes, other decorations and management. Baby showers are an extremely important time for the would-be parents. This is the first time when families come together to congratulate the new mother and offer their blessings in favour of her good fortune. There are a lot of rituals in Hindu baby shower, including bathing the pregnant mother in various auspicious mixtures to ensure good health and a happy future. We have done baby shower management and décor for many years and our crew’s expertise in the field has always pleasantly surprised our clients. Metro Celebration was established on 2007, in line with our vision,our team,our creativity to provide quality party services in and around the Delhi region. We had long hoped of developing a company that will be a one stop destination for all your party and celebration needs. 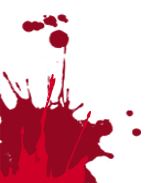 Our Services are available in Delhi, Noida, Gurgaon, Ghaziabad and Faridabad. We also have our Branch Office in which is located in Jaipur, Since our inception, we have organised all kinds of party events for all types of clients, from corporate to private. Our experiences have made us much more efficient and honed our expertise in the due course of these 10 years. Client servicing and satisfaction has always been of great importance to us, and we have always tried to achieve it with our best efforts. In this seemingly long journey we have gathered loyal friends who have stood by us as our partners on many occasions. It will be safe to say that whatever Metro Celebration is today, would have been difficult to achieve without the constant encouragement of our clients and the emotional assistance of our friends. In this juncture, we must mention our allies who have been a source of constant inspiration and love and have helped this company constantly, closer to its zenith. We have also served to satisfaction heavy weight corporate clients such as Samsung, Network 18, GMR, EMC Squire, Max New York, and Jashn-e-Reikhta. Being 60 is an embodiment of one hell of a journey. The experience and wisdom that often comes only with age is what you experience once you turn 60. This is a reason that definitely calls for celebration, as it is an end of an era. Most people retire for a quiet life at 60, and look out to experience other things like spirituality and travelling. We have organised and planned this landmark coming of age birthday party for many of our clients and their senior relatives. If there is one thing that we can ensure with absolute surety then it is that we will never let you forget this landmark and you will have great memories from here on. Although teens start from 13, we start getting the real essence of it from when we are 16. This is the time when we try new things and feel our youth more than we will ever feel later in life. If we were to give you one phrase to describe 16 year olds, it will be young, wild, and free. Planning and managing sweet 16 birthday parties often turns out to be our favourite type of parties because of its liveliness, fun games, music, decoration, themes, etc. 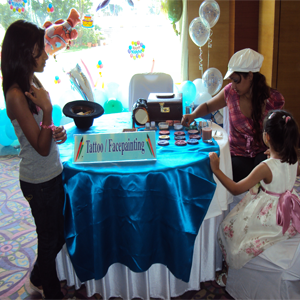 A recent form of birthday and other celebration is through theme based party. These parties are very amusing since a theme is previously decided for the party and the guests and the hosts commit to this theme and indulge in it. Theme parties are very much enjoyed by children since there are plenty of exciting themes for them, including cartoon theme ,sports theme, superhero themes, boys theme , girls theme party comics themes, etc. Here you can get some picture ideas about boys 1st birthday party and girls 1st birthday party The trick to theme parties lies in the proper understanding of the theme that the clients want for their birthday or other party. Once this is achieved, our team tries its level best to gather all the necessary props and decoration to set it up in perfect synchronization to the clients’ imagination. Sports Theme : If venue is outside chose- cricket, football, basket-ball etc..
At Metro celebrations, we manage, train, and employ our team very selectively. We always make sure that all our members are hard-working, competent, and enthusiastic. Our technical members are also vetted very carefully and we make sure that they really know their work and perform according to our standards. In every event, crises are almost inevitable for a production of that stature. We have trained and motivated our employees to handle crises calmly, collectively, and efficiently. Our events have always gotten the best compliments from our clients, their guests, and other people attending the event. It is this reputation that we choose to uphold and better fiercely. Our motivation is your satisfaction, and we hope to achieve it continuously. A lot of our achievements will always be credited to our excellent team who work very hard and tirelessly to make every event better than the last one. It is this zealous nature of work that give us of hope of expanding ourselves even more and employing many more technicians and management staff. All we need is your continuous support. Our mission is to introduce new and more efficient work methods for planning and management of corporate parties, kids’ birthdays, events, etc. With this in mind we have continually tried to innovate and better our ways to increase efficiency. Our company is progressive and believes in improvement even when we are on top. We have time and again followed various event management procedures from around the world to see which one works better. From this experience of trial and error, we have in a way come to discover our very own way of working that has always made our clients happy. Metro celebrations has always tried to find that balance between professionalism and emotional bonding and brought the very best of event management, in an Indian way. We don’t believe in operating with the mind only like many of our contemporaries, but always sprinkle some love and hearts on the top to bring smiles to your faces. This is what we work so hard for, and our one and only mission. Our services are available around Delhi, Noida, Gurgaon, Faridabad, Ghaziabad, Jaipur, Meerut, and Panipat. For more details and info, contact us here. Metro Celebration did a fine job at my birthday party. Decoration was unique and exquisite the food was finger licking delicious & food counter was well organized. My boss had asked to take charge of our annual award ceremony. This year was our company’s 10th year, and it was quite a big deal. To be honest, I was really scared until I stumbled on to Metro Celebration They have me an awesome deal and I didn’t have to worry about a thing. At the end, I got a pat on my back. My aunt suggested me about www.mybirthdayorganizer.in At first I was a bit doubtful about online party planners. But then I trusted her as she seems to do everything online and keeps telling us about the great deals she gets. Best money I ever spent. Thank You Mr Rajat. Since Rajat Singh, owner of Metro Celebration has become quite popular in our locality, I already knew about them. They have organised over 7 to 8 birthdays in our area and all of them have been awesome. I wish to keep coming back here. Keep it up! I wanted to organise by son’s birthday in a hassle-free way since this was his first one and we were all busy taking care of him. A friend of mine had recommended www.mybirthdayorganizer.in and I looked them up on the internet. Their service has been like God’s grace to us and we enjoyed a lot. Birthday parties and other celebrations are now becoming a regular affair among-st all Indian families. Part of this will could be attributed to the West which has a mighty impact on the Indian youth of today. However, if we were to closely analysis the cultural developments of this age old subcontinent, it might become clearer to us that celebration has always been an Indian way of life. 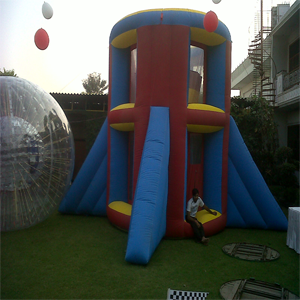 Birthday Party Organizer Delhi, Theme party planners Noida | Metro Celebration. Why is theme birthday party required? We are letting you know about theme birthday parties because the different themes will increase the enjoyment level of your birthday party. Different themes will not only make the environment colorful but will also motivate you to enjoy the theme within you. You people will also dress up according to the theme. Kids will enjoy more because they love colors. 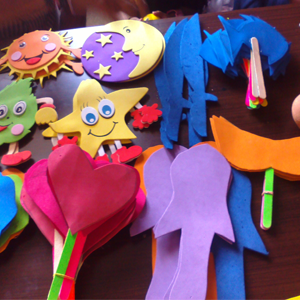 We have started organizing birthday party according to different themes for quite long and people are also loving it. 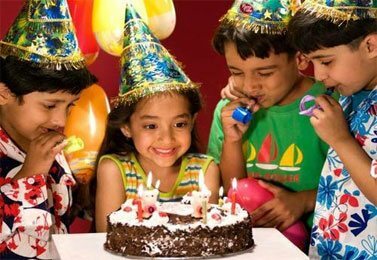 This is why we are one of the best Birthday Party Organizer Delhi, Theme party planners Noida | Metro Celebration. We try to make people enjoy different themes and enjoy the world which comprises the theme. We have not got the position of one of the best Birthday Party Organizer Delhi, Theme party planners Noida | Metro Celebration. with just a few services. We have a lot to offer you. We make arrangements for other things like game shows, music, clown and other cartoon characters if it is a birthday party for a child. 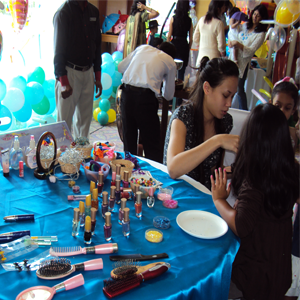 We try to make every possible thing that can enhance the enjoyment of a birthday party. We have a group of birthday theme party planners of Delhi NCR who also works for other places like Noida, Ghaziabad, Gurgaon, Faridabad, Jaipur. We are trying our best to hold the position of one of the best theme birthday party planners of Delhi NCR with are increasing and improving services. With us now you people need not attend any boring birthday party. Let us help you to make your party rocking and memorable. Easy to get our service To get service from us you need to contact us first. 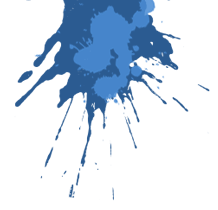 How can you contact us? 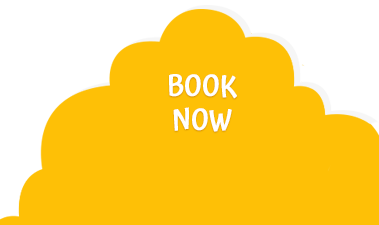 It is very easy, you just need to visit our website http://www.mybirthdayorganizer.in/ and then all contact details will be in front of your eye. Our website contains our contact number our email id. In our website, you will also get to see the images of our previous works. Do you have any more queries? Contact us directly. There is another option for you to contact us is to come to our office directly. Here is the address which you need to follow. D2, 4th Floor, New Ashok Nagar, New Delhi – 110096. Are you still thinking? Then don’t think much and visit our office now to make your next event a great memory. Our services are categorised into various kinds, and all the major ones are enlisted and explained in detail below. Carnivals, Company Anniversaries, and Get-togethers These kinds of events are often done on a larger scale than birthday parties and baby showers. There is more number of guests to be hosted and a lot of fun to be had. Our best birthday party organizer in Delhi (Metro Celebration) love managing these carnivals, fashion shows and corporate events. We have hosted large scale corporate parties for giants like Max New York and Samsung, and have always come out on top. Our crew is extremely competent and trained, and overlook every aspect of large scale events like this. We arrange for chief guests, performances, celebrity guests, music, decorations, stage, and other things according to the demand of the situation.